I’ve received an email from Eddie Taylor looking for some insight into Leeds United’s Scottish connection. I'm writing for the official Leeds United magazine on the club's seemingly unbreakable Scottish connection – paricularly as we've just signed two more Scots, Ross McCormack and Neil Collins. 1. Whether in the 1970s particularly there was any allegiance to Leeds amongst Scots with all the Scottish players in the side? Did people want Leeds to do well because they had four, five, sometimes six Scots in the starting line up? Or, frankly, was that just the way football was back then – with every major club having two or three Scots? tournament came from Leeds players. 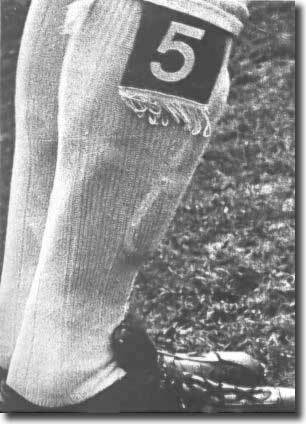 (Scotland even wore all white and used sock tags!) As Leeds had just won the championship, was there a feeling that Scotland was in the ascendancy football-wise at this time? 3. What the achievements of someone like Billy Bremner at Elland Road mean to people north of the border? 4. To what extent did that continue with the likes of Strachan and McAllister then coming to Leeds and helping win the title in 1992? There were always memorable scots at ER winger George Meek was a real gem but the take off came with the arrival of Don Reive and his early signing of Bobby Collins from Everton - My father told me that Collins had been a Scotish international but was at the end of his time & just seeing out time at Leeds. Revie reoganised the team around Collins and things really took off, wayward young scot Bremner was moved into midfield alongside Collins and wow! Bobby was recalled to the Scottish team and had his best years - he was a real gem. Lets not forget Johnny MaCole, Tommy Younger, Willie Bell et al. Hi guys, author of the original e-mail here. Thanks for all the input. Leeds has always had a decent smattering of Scots, including the likes of John White and Tom Jennings, who formed formidable attacking pairing in the late 1920s, and carrying through the 1950s with the legendary Jimmy Dunn. I actually have a silk scarf from 1974, also the height of Bay City Rollers mania, which has tartan on one side and the faces of Bremner, Lorimer, Eddie Gray, Gordon McQueen and Joe Jordan on the other! Any stories/anecdotes about Leeds-supporting friends from Scotland or similar would be great!